Our local power washing services and whole house power washing services typically starts by soaking with mild detergent from the bottom up and then rinsing from the top down, including the gable, soffitt, fascia, windows, trim and siding down to the ground. 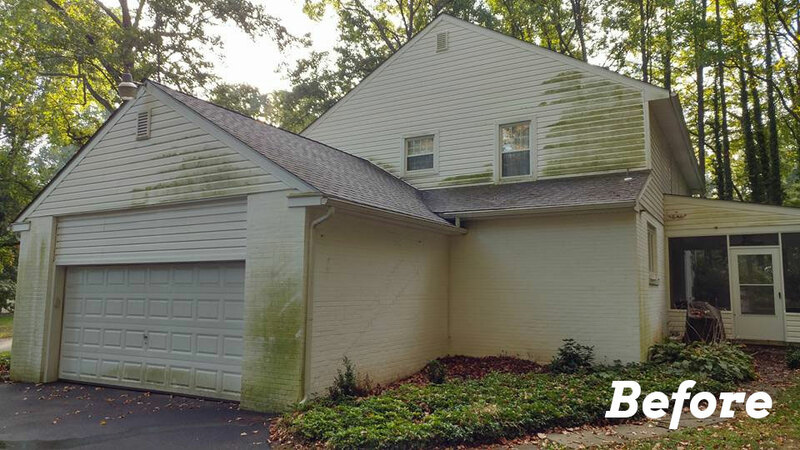 We take a little longer and put a lot of extra care into removing any moss, mold, dirt and grime from the exterior of your home. Receive a discount when you sign up for a yearly contract to Pressure Wash flat surfaces. Pressure Washing is done on all ground surfaces. This involves an application being applied to all the ground surfaces with a twenty minute dwell time to allow the cleaners to extract the dirt. In addition, we use surface cleaners to cleanse these areas. After this is done the area is lightly rinsed and a post application is applied. Your home is your greatest asset and you should always entrust its care to professionals, especially when it comes to exterior cleaning. Pressure washing a house is no small job and it is one that needs to be done with care and done right. 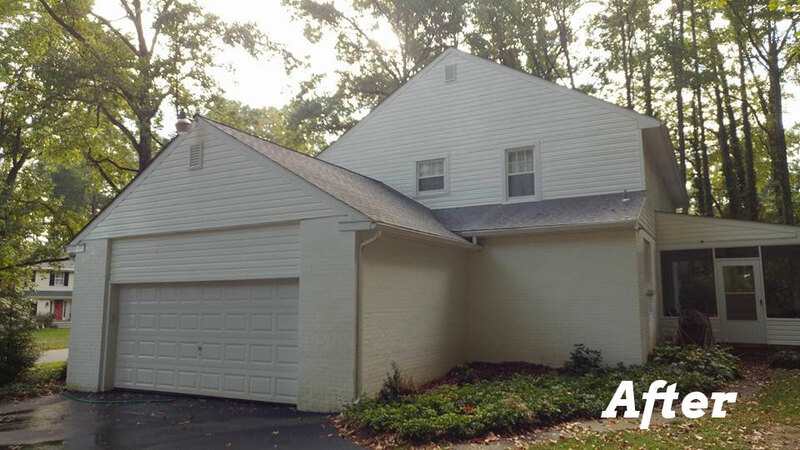 Don’s Power Washing and Roof Cleaning spends a little longer than most other pressure washing companies, giving the house a thorough cleaning from top to bottom.